Gotta give it to geopolitical uncertainties, numbers that should cause the teasury to rise, have little effect. 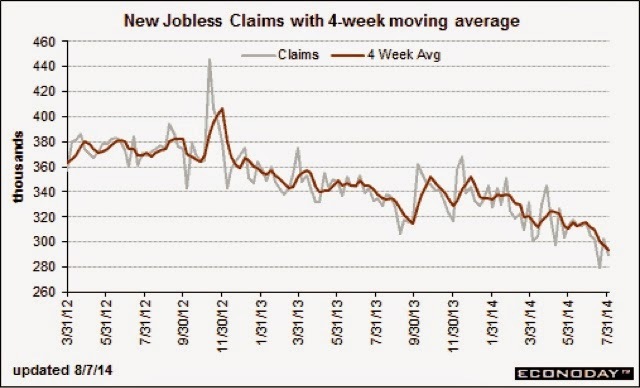 Nice print on the jobless claims, beating expectations and continuing the nice trend. Early action made sense. Firmness in the treadury and equities. But around 9:45, treasuries collapsed and then at 10:45 equities followed.